Plastic paint: it is widely used and recommended for its excellent value for money. It has interesting conditions for conservation of color and can be washed easily with water. The finishes can be found in satin, gloss or matte. Rare painting: works by applying gotelÂ©, but the great disadvantage that is not washable, and is very easy staining. However, many people choose it for its price, one of the cheapest to be found in the decorative paint market. Synthetic paint, although more expensive, has some benefits that can become very interesting on occasion. For example, are paintings that have high strength and are absolutely waterproof. This allows use in any environment, such as bathroom, kitchen or even outdoors. The finishes are usually more colorful and durable than other possibilities. 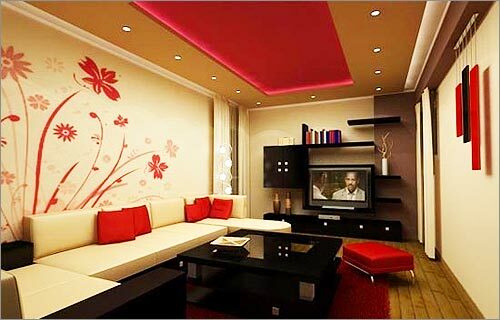 Paintings moisture: in those areas with moisture problems, paint can be used so-called moisture. They are actually quite expensive, but very effective in countering these problems. Can be found in white and bright colors. Varnish: is the paint used in wood. Its great advantage is that it is colorless and gives high gloss, as well as an excellent way to resist the most complex climates and temperatures and extreme. The downside is that it is a toxic and flammable paint more than others. This entry was posted in Wall. Bookmark the permalink.